Apart from the stone, the cool thing about these pictures is that they show how the overhangs will shield the windows from the sun. (We added the awning on the back of the bedroom for just this purpose.) This is how the shadows line up around 4:00 p.m. on a late April day. 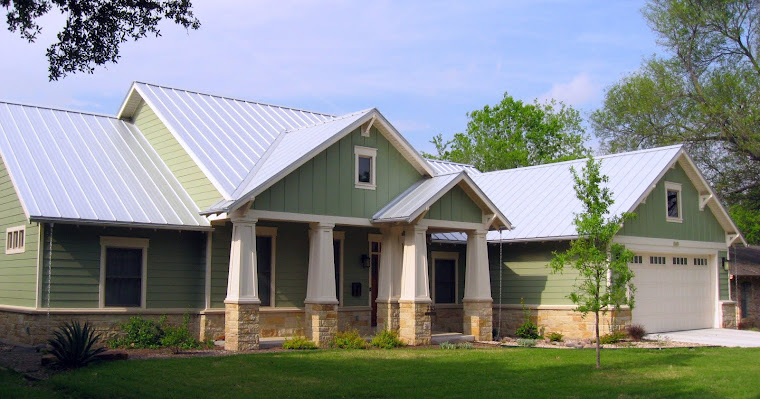 "They" say it will be even more effective during the summer, when the sun is higher in the sky; during the winter, the sun travels lower in the sky, so the windows will actually allow "passive solar" heating (a fancy term for the sun coming in and warming things up). Back at the temporary house, my vegetable gardening is going well. 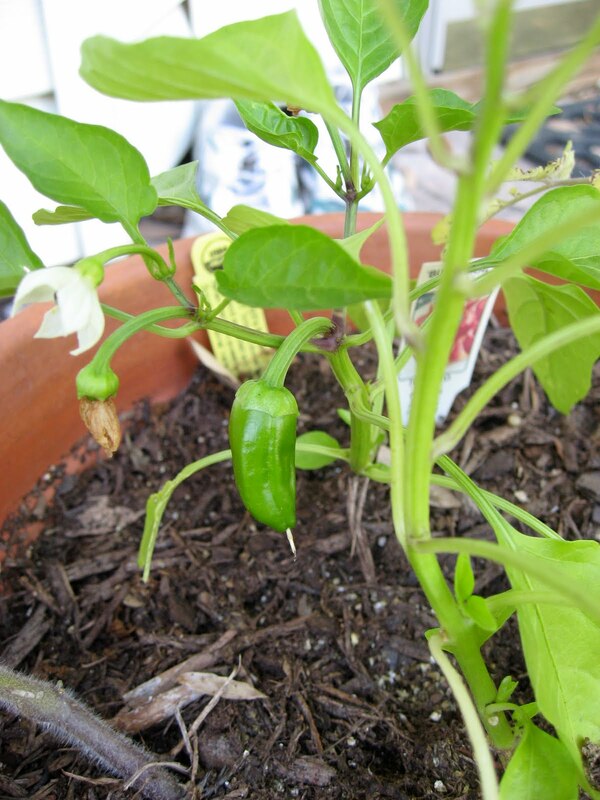 Not only are our plants from the garden fair still alive, but one of them has sprouted a pepper! If all goes well and we are able to eat it, I think this will be our first homegrown food ever. Of course, if we have mint juleps before the pepper is ready, our homegrown mint will be the first. How Do We Keep Everything Organized?